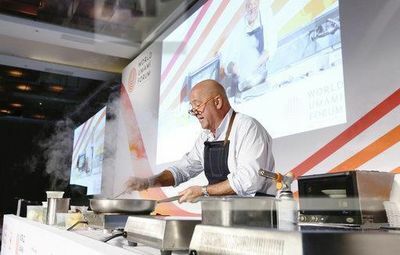 We took a front-row seat at the World Umami Forum, presented by our partner Ajinomoto Co. Inc., to learn more about the history, complexity, and many, many culinary applications of our favorite taste: umami. I’ve always been a big fan of umami. It’s the rich, savory taste that can be found in some of my favorite dishes and ingredients, like parmesan cheese, a hot bowl of ramen, or a big, juicy steak. But while I love umami-rich foods as much as the next person, I never really understood the science—or the story—behind it. So when I was invited to attend the World Umami Forum, a two-day event featuring presentations from chefs, food writers, and academics, I immediately said yes. 1. There’s a difference between flavor and taste. Flavor and taste are two words that I used to use pretty much interchangeably, but at the forum I learned they’re actually not the same thing. Our sense of taste comes from what we perceive on our tongue; there are five basic tastes that humans can detect: sweet, salty, sour, bitter, and of course, umami. 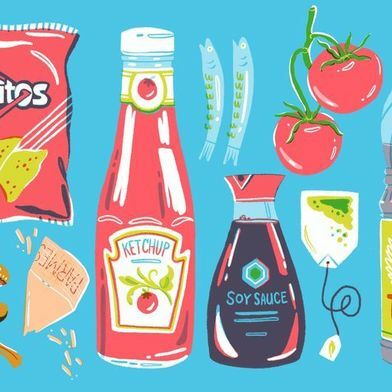 Flavor, on the other hand, is our overall impression of what we’re eating, and it can be affected not only by what we’re tasting, but also what we smell, hear, see, our mood, and even our memories. So the next time someone says something like, “Wow, that has such an umami flavor,” know that they’re actually talking about taste. 2. Civilizations have been concentrating the taste of umami for centuries. The taste of umami (which comes from glutamate, an amino acid that occurs naturally in proteins) was first identified by Japanese scientist Dr. Kikunae Ikeda at Tokyo University in 1908, but civilizations have been concentrating it in their foods for hundreds of years. It can be traced all the way back to the ancient Romans, who made an umami-rich fermented fish sauce called garum. Much later in 1865, a German chemist by the name of Justus von Liebig commercially produced a meat extract that not only concentrated meaty flavor (hello, umami! ), but also claimed to also stimulate appetite. His formula would eventually lead to the development of bouillon cubes (which we still buy today) in 1910. 3. You can taste umami in dishes all over the world. Umami (which translates to “essence of deliciousness”) may be a Japanese word, but the taste isn’t specific to only Japanese food. During a live cooking demo at the forum, Chef Christopher Koetke prepared umami-rich dishes from around the globe. He started off with his mom’s pot roast (loaded with umami-boosting Worcestershire sauce and ketchup), before moving on to a spicy Thai papaya salad (or som tum), which calls on dried shrimps and fish sauce to bring a deep, savory flavor. He finished off the demonstration with machaca, a Mexican dried meat (usually made from beef or pork; the drying process adds ton of umami), mixed into scrambled eggs. 4. Chefs have some clever umami-boosting secret ingredients up their sleeves. There were a ton of top chefs at the forum, along with six student cooks vying to win a trip to Japan in the World Umami Forum Cooking Competition (Food52 co-founder Amanda Hesser was a judge!). I was lucky enough to chat with a few of the chefs to find out which umami-boosting ingredients they love to cook with. For Iron Chef Marc Forgione, it’s all about the parmesan cheese. For Chef Koetke, it’s a no-brainer: MSG. “If I’m making a recipe and just want that umami hit, I’m reaching for MSG,” he said. But the ingredient that had us most intrigued came from Andrew Zimmern: dehydrated tomatoes. “It happened because I fell in love with tomato potato chips in Toronto” he told me. To replicate the flavor, he dehydrates tomatoes and purees them into an umami-rich powder that’s perfect for sprinkling over savory dishes. 5. MSG is trendy again. 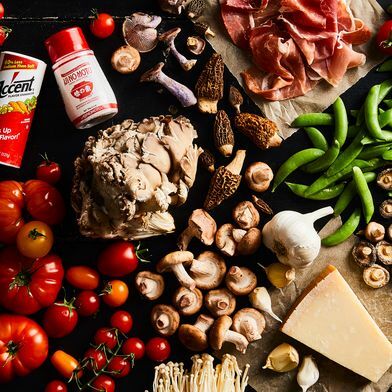 We’ve partnered with Ajinomoto Co. Inc. to spark new conversations about MSG and bring you a series of recipes, stories, and videos that celebrate the fifth taste: umami. This rich, savory essence can be played up in almost any dish by adding a dash of MSG, a seasoning that’s pure umami flavor. When cooking with MSG, note that MSG contains less sodium than regular table salt. The general rule of thumb: Use about two-thirds of the table salt you’d normally use, and then add one-third MSG back in. You can also learn more over at the Umami Information Center.